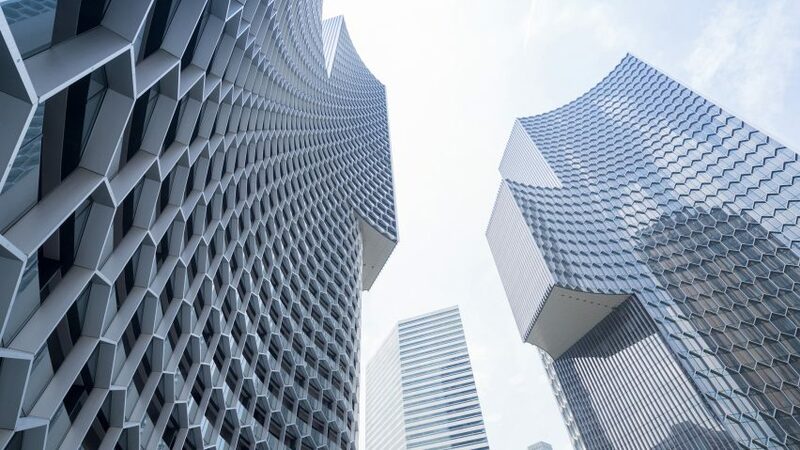 Hexagonal frames cover the curved portions of these glass skyscrapers in Singapore, designed by Büro Ole Scheeren for the city-state's Kampong Glam neighbourhood. Architecture firm OMA's first cultural building in California will be a pavilion with tilted walls and patterned openings, which will accompany a Jewish temple in Los Angeles. New York's empty walls could be covered with honeycomb-like clusters of pods to house the city's growing homeless population, as part of this proposal by creative agency Framlab.